Auto-away is a helpful feature that allows you to leave your desk without worrying about any unanswered chats. You are free to leave your LiveChat running and it will automatically switch to Don’t accept chats after a set period of time. Follow a few simple steps to enable this function on your Mac or Windows application. Usually, it is best to set the auto-away timer to 5-10 minutes. This way, you will be able to leave your desk for a short while without disabling your ability to receive chats. To change the default timer, you need to fire up your LiveChat desktop application and go to LiveChat and choose Preferences in the upper menu. Enter the desired auto-away time under Auto-away section. From now on, you will be automatically switched to Don’t accept chats after passing the set time limit. When you want to come back to the application and it has already switched to Don’t accept chats, click anywhere in your application to change it back to Accept chats. 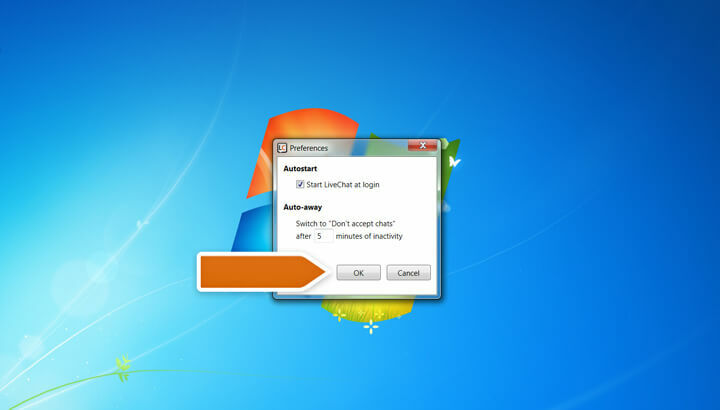 To change the default auto-away timer, you need to start your LiveChat desktop application and go to Preferences. 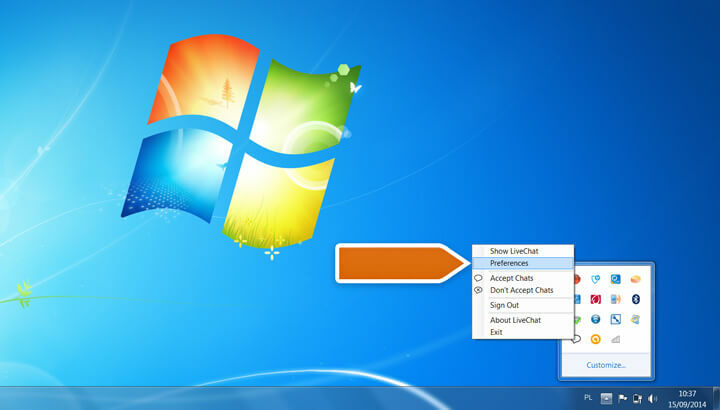 Do this by right-clicking the LiveChat icon in your tray and selecting the Preferences option. Enter the desired auto-away time in the Auto-away section and click on OK to confirm. If you want to get back Online, simply move your mouse cursor. The use of a mobile and web apps overrules the auto-away feature. If you have any ongoing mobile or web LiveChat sessions, you will retain the active chatting status even if the auto-away is enabled. If you want the auto-away rule to trigger, you must log out of your mobile and web apps.